The largest labor union in Pennsylvania is throwing its weight behind a Republican congressman. 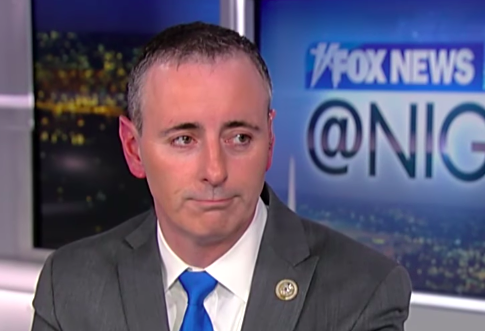 The Pennsylvania AFL-CIO endorsed Republican representative Brian Fitzpatrick over his Democratic opponent, Scott Wallace, who inherited a fortune valued between $127 and $309 million. Fitzpatrick welcomed the endorsement, saying it reflected his commitment to bipartisanship, as well as his dedication to constituents. "Incredibly honored to receive the @AFLCIO endorsement for my commitment to the working families of Bucks and Montgomery Counties! @AFLCIO knows that we need hometown, #bipartisan representatives, not out-of-touch multi-millionaires" he said in a Tweet. The state AFL-CIO, which did not return request for comment, has praised Fitzpatrick in the past. In 2017, it urged members to call his office to thank him for voting against the repeal of Obamacare. Labor leaders in Pennsylvania had previously indicated that they were rethinking their approach to politics. After Donald Trump won the state with strong support from blue-collar workers opposed to free trade agreements, state AFL-CIO president Rick Bloomingdale embarked on a "listening tour" to visit local union halls and ask why individuals bucked the union's endorsement of Hillary Clinton. Bloomingdale said his conversations with members would inspire a change in how the union approached politics, explaining that labor leaders had grown too complacent with the Democratic Party. "We may have gotten too close to one party…. We should be for people who are for us, regardless of party label," Bloomingdale said in July 2017. "I think we were speaking too much at them, rather than having conversations with them." Fitzpatrick is the only Republican congressional candidate who has received the union nod, making Wallace the only Democrat candidate for Congress who did not receive the AFL-CIO's backing. Wallace, who did not respond to request for comment, does not mention labor on the list of "Issues" his campaign website is focused on. Fitzpatrick, who received a 47 percent ranking in 2017 from the national AFL-CIO, emphasized Wallace's failure to secure the endorsement on Twitter. "This endorsement … demonstrates how disconnected multi-millionaire [Scott Wallace] is from our hardworking men and women and middle-class families," Fitzpatrick said. "He’s the only Democrat candidate for Congress in the entire state of Pennsylvania to NOT receive this endorsement [emphasis in original]." In 2016, the union endorsed Fitzpatrick's opponent, Democrat Steve Santarsiero, praising his "record of standing up for working families and fighting to create good paying jobs." Even with the endorsement, the AFL-CIO gave $3,500 to Fitzpatrick compared with $1,500 for Santarsiero, according to the Center for Responsive Politics. The union has increased contributions to Fitzpatrick this time around, donating $5,000 to his reelection campaign. This entry was posted in Politics and tagged AFL-CIO, Pennsylvania, Unions. Bookmark the permalink.